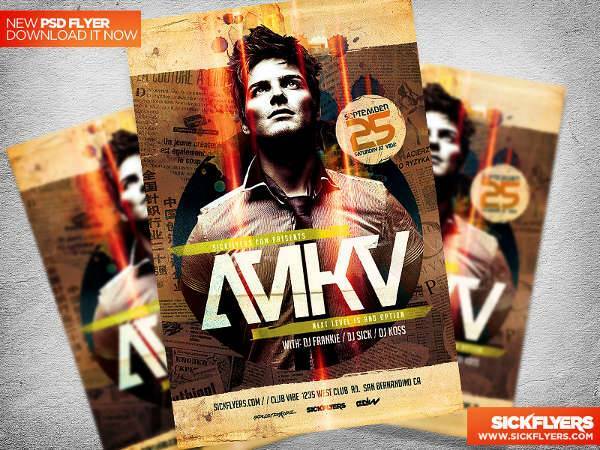 There’s no better way to hype up a crowd for a huge party than to send out party flyers. 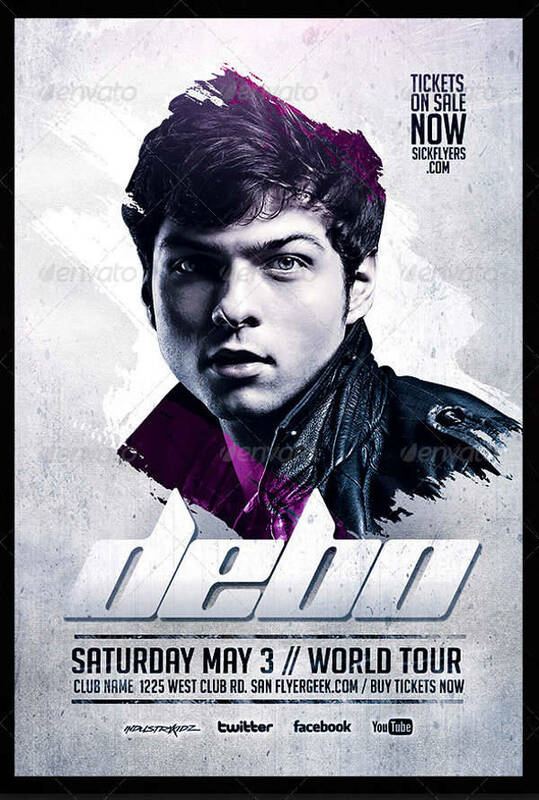 Posting flyers is an effective way to let people know something big is about to happen, and they better be there to witness it. 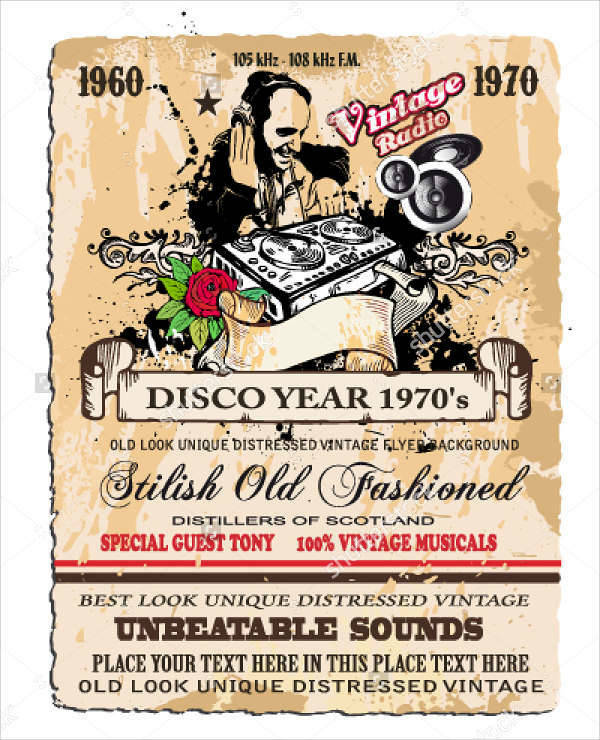 For clubs and parties, especially, sending out cool flyers featuring their disc jockeys can easily garner a vibrant crowd. That is if you’ve got awesome designs to go with it. 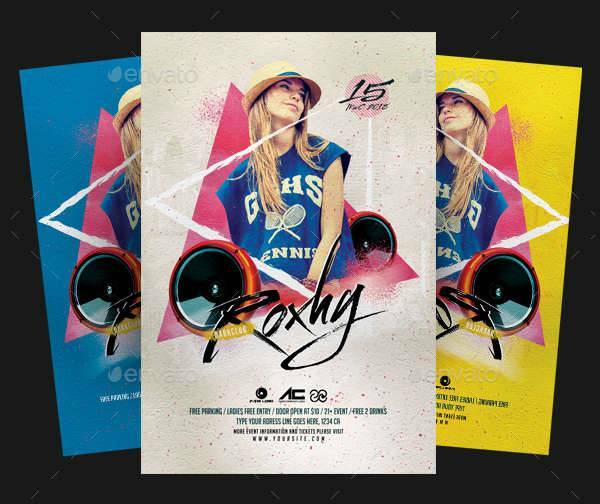 With our flyer designs, come up with authentic designs that are sure to entice your target market. 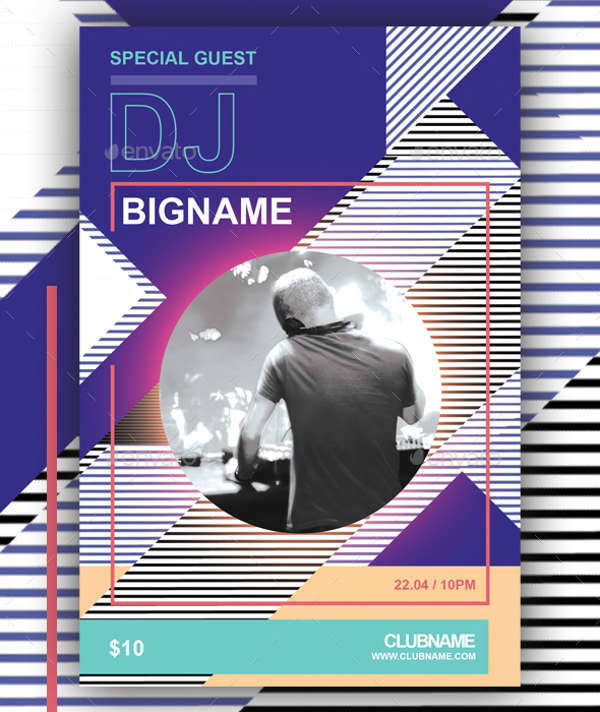 You can download our DJ flyer design templates, and edit them with all the convenience and serious fun you’re going to need. When you’re organizing a formal party with an exclusive guest list, cards in fancy sealed envelopes are sent out to your invited guests to inform them of the event in fine detail. 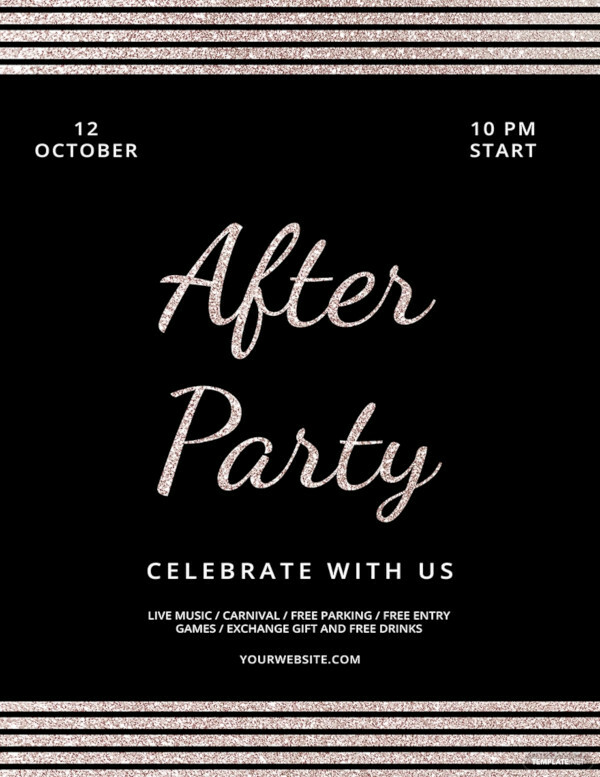 Flyers can be the more casual version of an invite, because that’s precisely what they are advertising: casual and informal events. They’re open to the public and have more free-flowing designs. 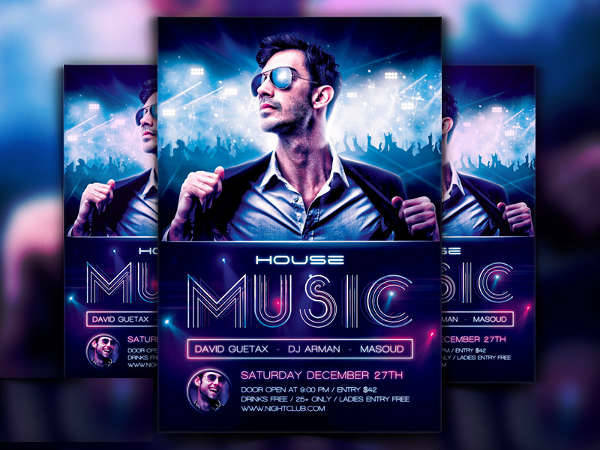 If you’re wondering what could be the best approach for your flyer design, there are a few things you need to ponder on to make the most out of your DJ flyer. 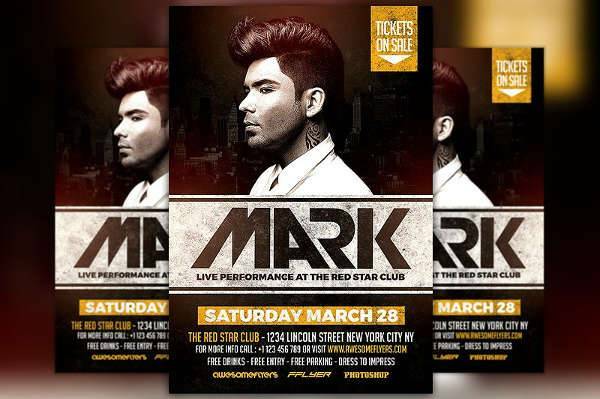 Flyers are the entry point to your event. 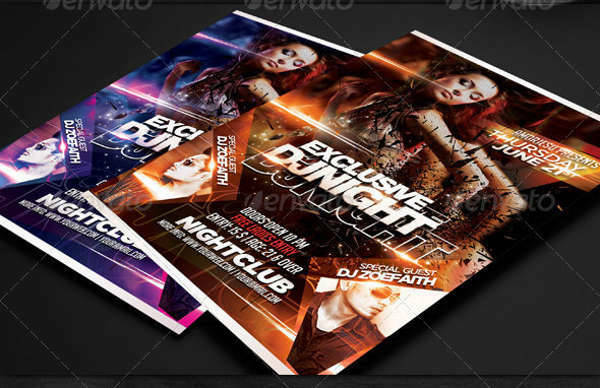 Your flyer is the main source of information, and they should be clear and visible in all available platforms. Everything a person needs to know about your event -the what, where, when, why or how- is presented in the flyer. 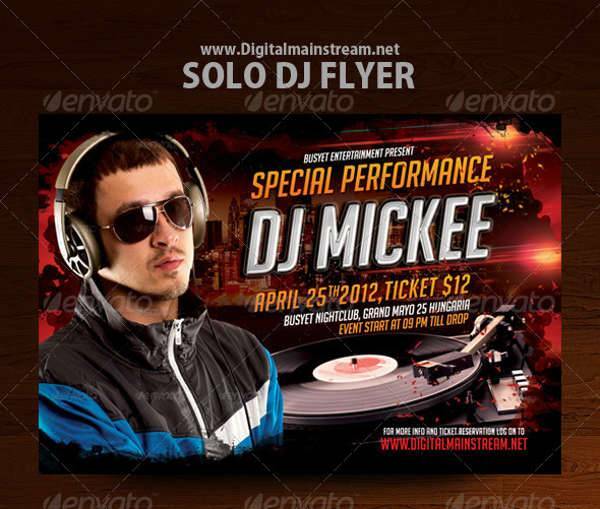 DJ flyers are also called invitation flyers, and with good reason. They have to be, well, inviting. It’s not just a matter of informing with printed words. It’s about projecting an image of vibrancy and exhilaration in order to give the public a taste of what’s to come. The only way you can do that is by coming up with an amazing design that best exudes the feeling of your event. 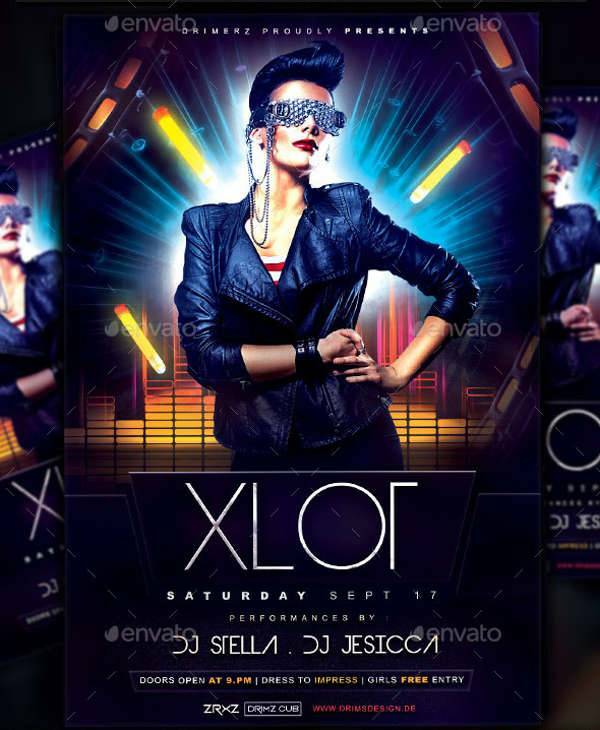 Prioritize the main attraction: the featured DJ/s. 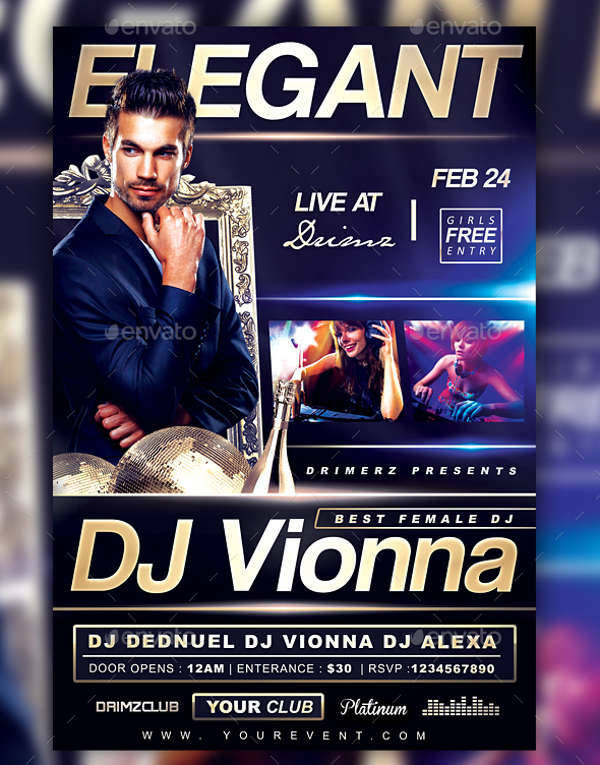 Regardless of your event being a club opening, an album debut, or an EDM summer festival, the DJ is what pushes people to accept or reject your invite flyer. 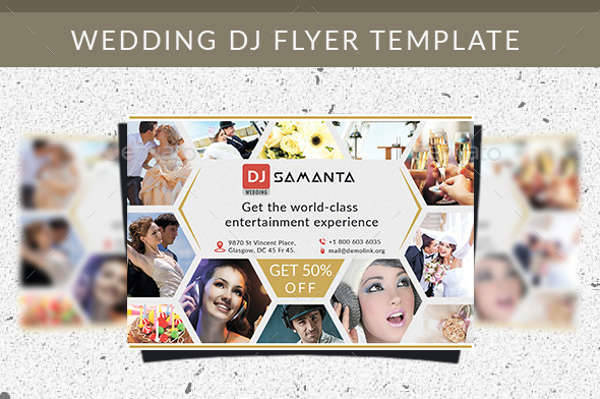 Make sure your featured DJ/s are not overshadowed by your other designs. 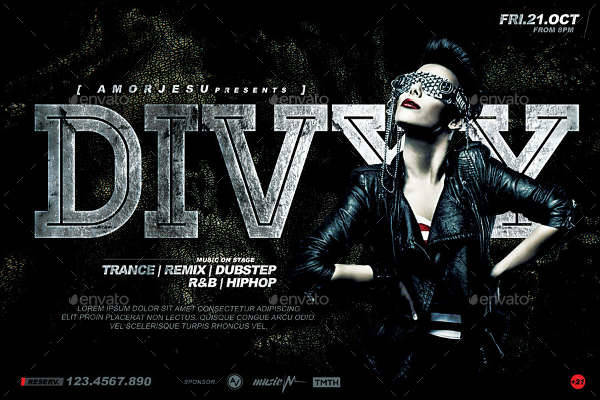 As much as possible, your DJ’s music genre should exude in your designs. Think of your niche. What does your target market want? Come up with designs you believe your potential guests will respond well to. 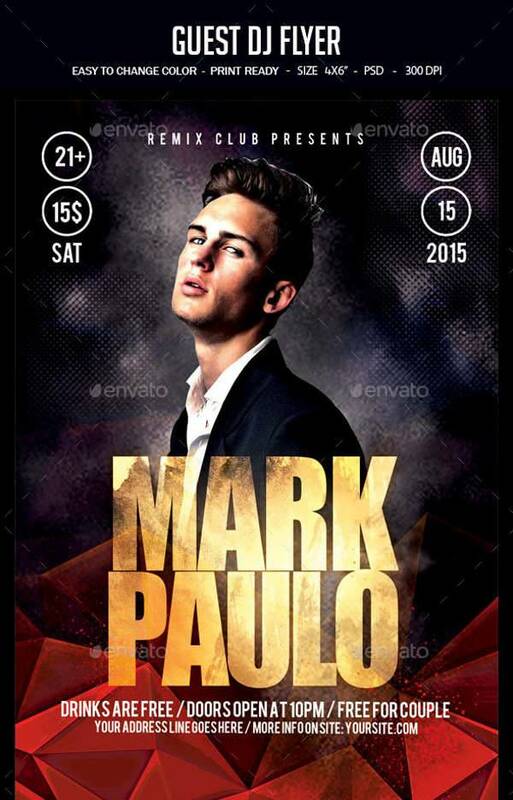 You can create an elegant flyer design, or go for intense and electronic, or a minimalist urban DJ design. DJ flyers should be flexible. 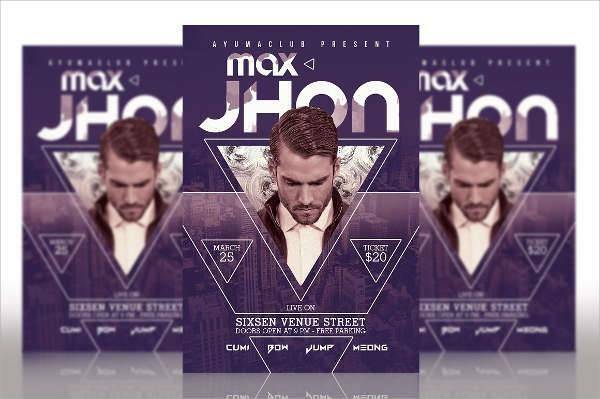 You’re flyers are not limited to printed media. They can and should be present in the virtual world as well. 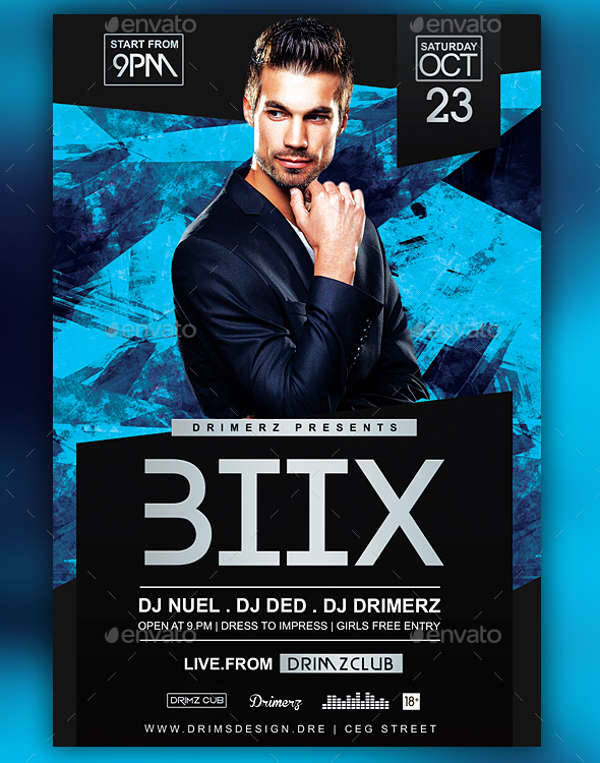 Your event flyer should be presentable in all platforms. Digital flyers specifically, should be dynamic and engaging. It can be so easy to tune out posts if they’re not interesting enough. Prepare teasers to keep the hype up. 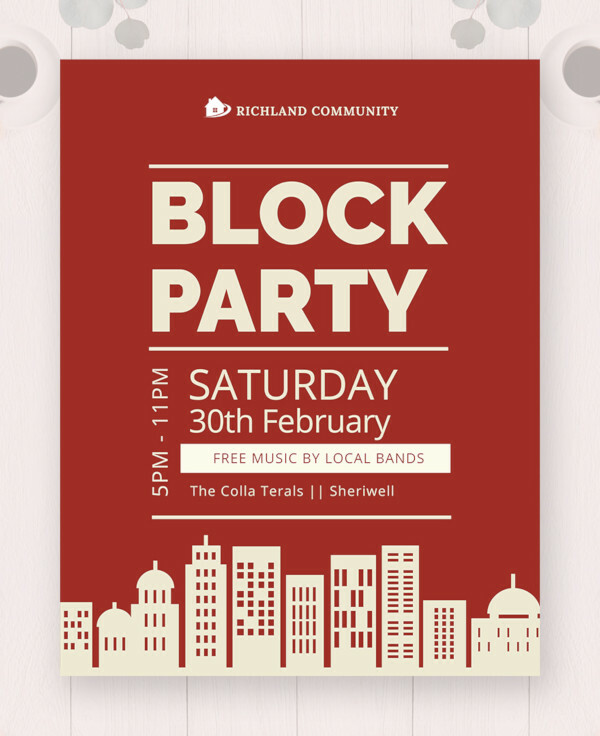 Designing a flyer does entail a good planning stage, especially if it’s a really huge event. 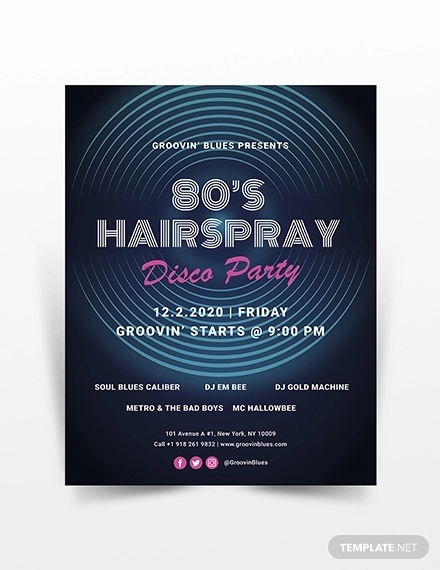 You can’t just wing your designs by incorporating random elements in your flyer. Think of every possible design options and don’t be afraid to try them out. 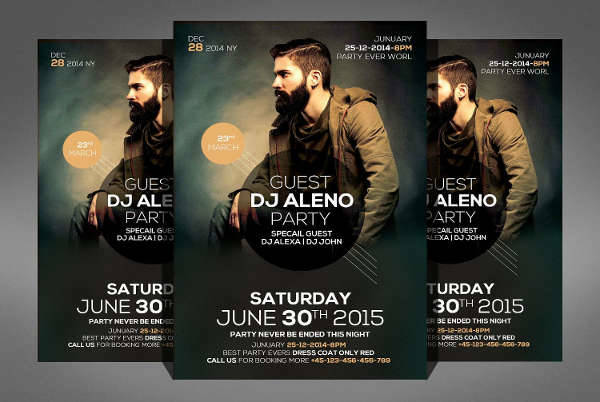 There are plenty of possible approaches you can take in designing your DJ flyers. They can be simple, eclectic, or a smart combination of both. Bring something new to the table and set yourself apart from all other events. 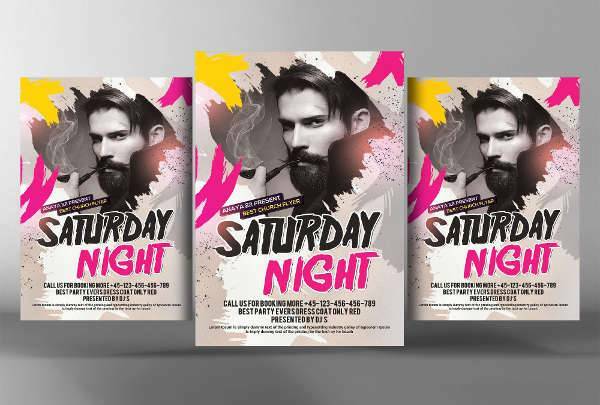 An effective flyer design is one that can tap into the subconscious of its target market. 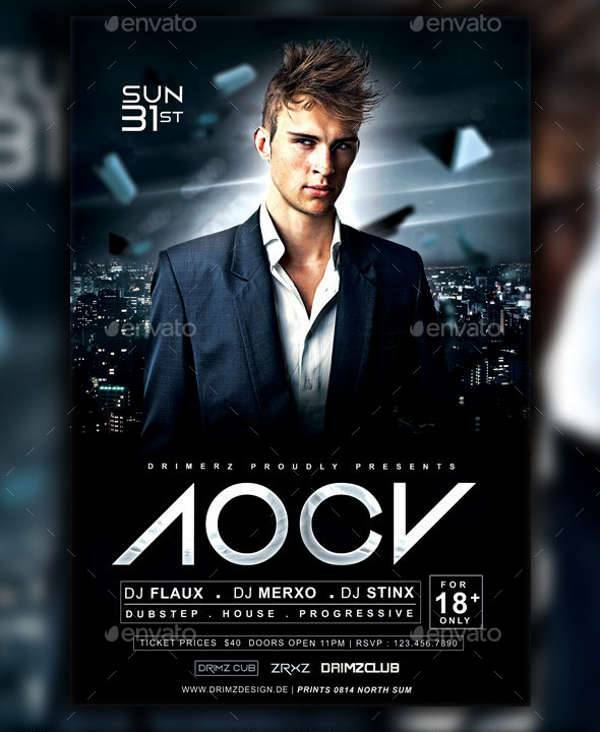 Reach your audience with intense, engaging, and intriguing flyer designs. 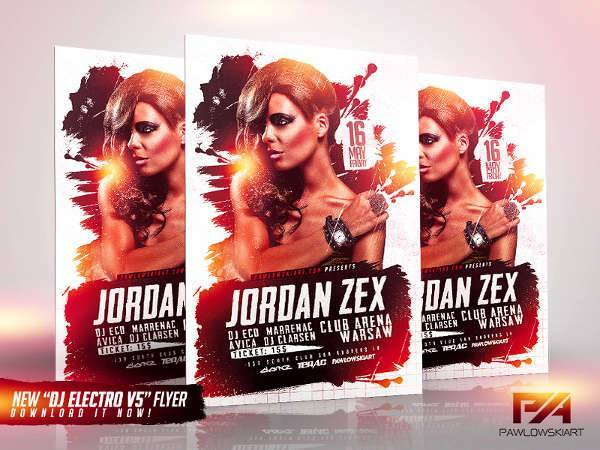 Oftentimes, people think there’s only one type of design for DJ flyers because club flyers are usually the only kind that comes to mind. 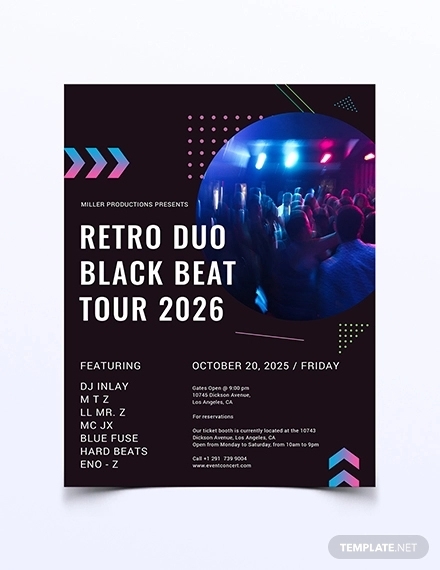 You simply throw in a dark background, abstract shapes, and neon typefaces. But that’s far from the truth. 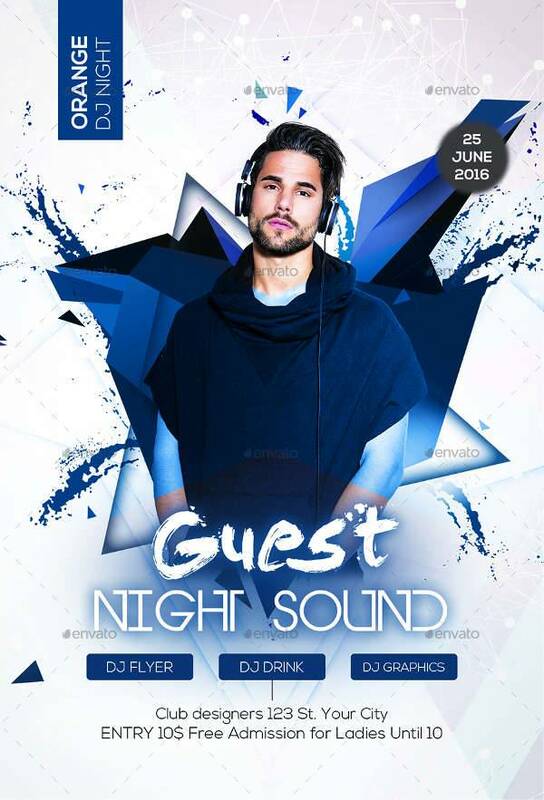 There are so many ways to add a unique quality to your flyers because events featuring a DJ can be varied. 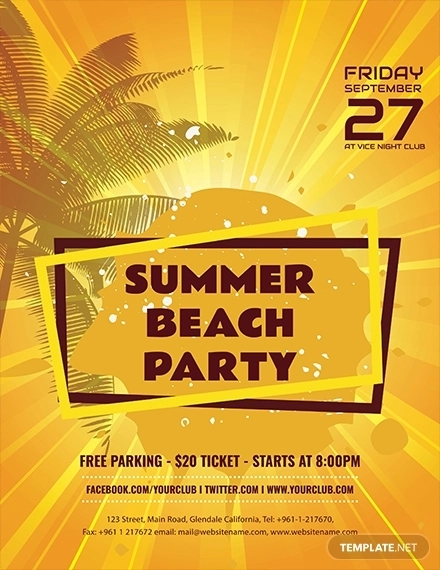 A summer party is not just limited to the club scene. They are especially not just during the nighttime. Beach and pool parties, concerts and festivals are all best experienced from the daytime until dawn. 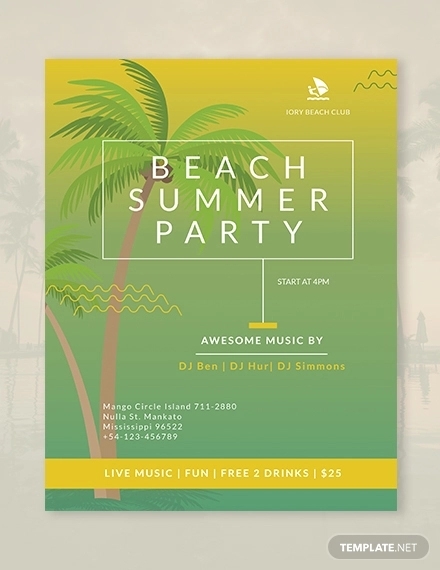 Our Summer DJ Flyer, Guest DJ Flyer Performance, and DJ Flyer Geometric Design all present a unique approach to a summer party DJ flyer. You can go for warm and sunny colors with tropical tree silhouettes, or set a futuristic feel with geometric patterns and designs with minimal color use. 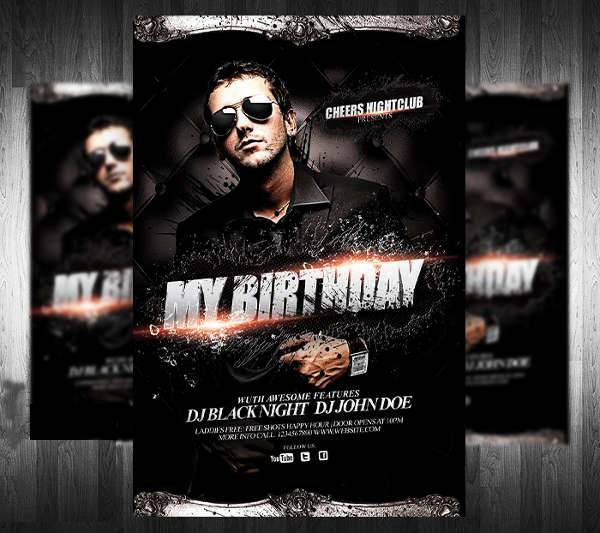 Your birthday party flyer is a good avenue to feature your guest DJ’s and performers. 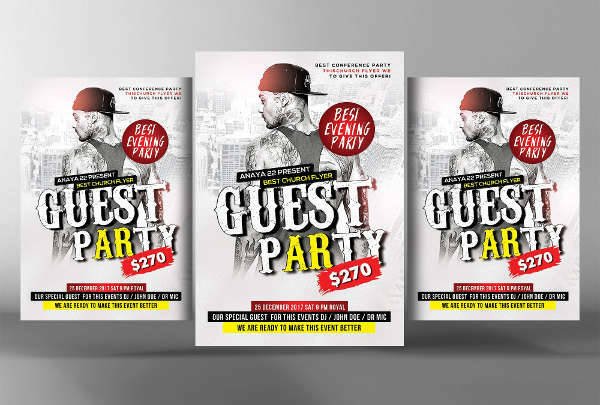 Your flyer design should embody the theme of your party. 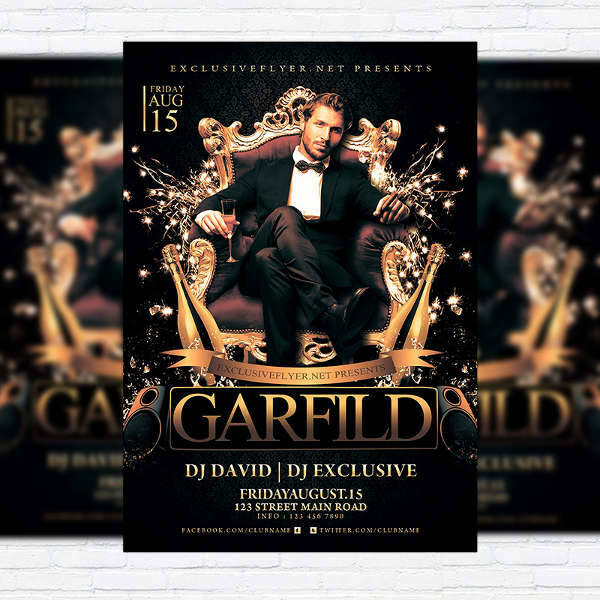 If it’s an exclusive, invite-only event, grab some ideas from our Exclusive DJ Flyer, DJ Birthday Party Flyer, and Classy DJ Flyer designs. 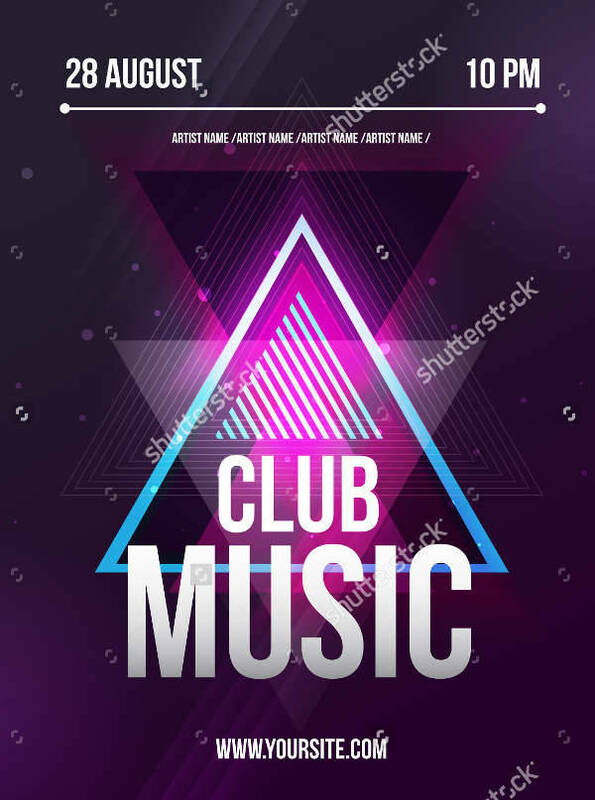 If your birthday is going to be celebrated in a club, this would be the best time to incorporate the dark and mysterious ambiance of the night club scene. These designs tend to be intense and intimidating. 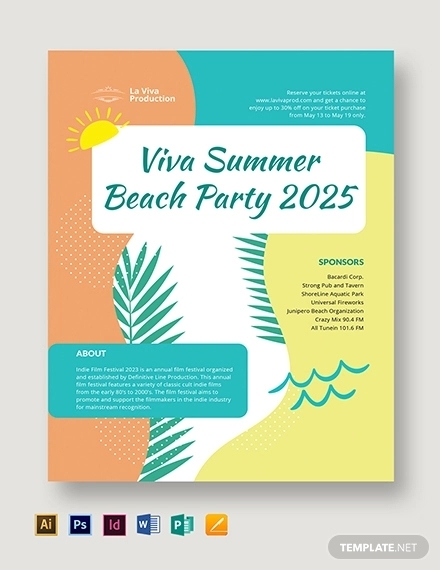 Pool parties, on the other hand, can have a lighter mood with brighter colors and rounded typefaces. 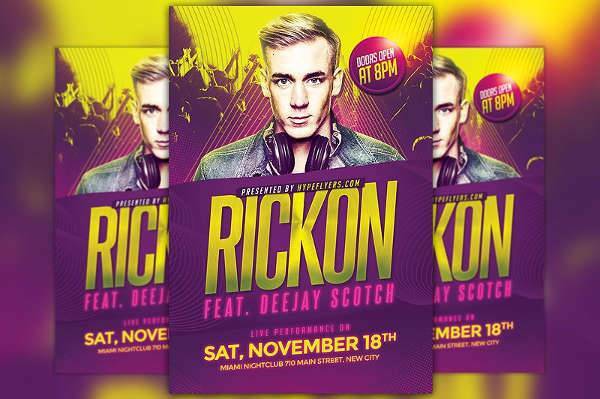 Organizing a disc jockey battle caters to different types of genres, opening the event to different types of market. 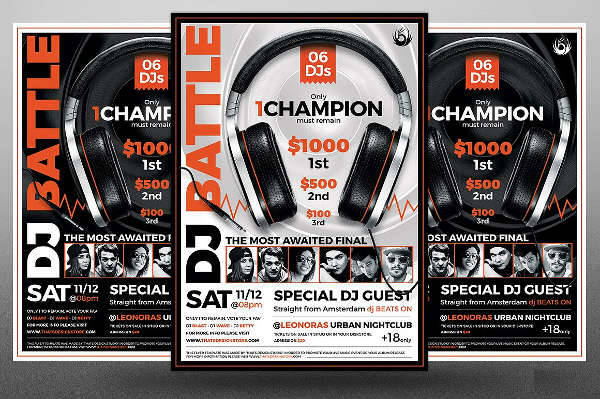 Your can design your flyers similar to our DJ Battle Flyer, with an image of a turn table and headphones, and the contestants’ photos featured at the bottom. 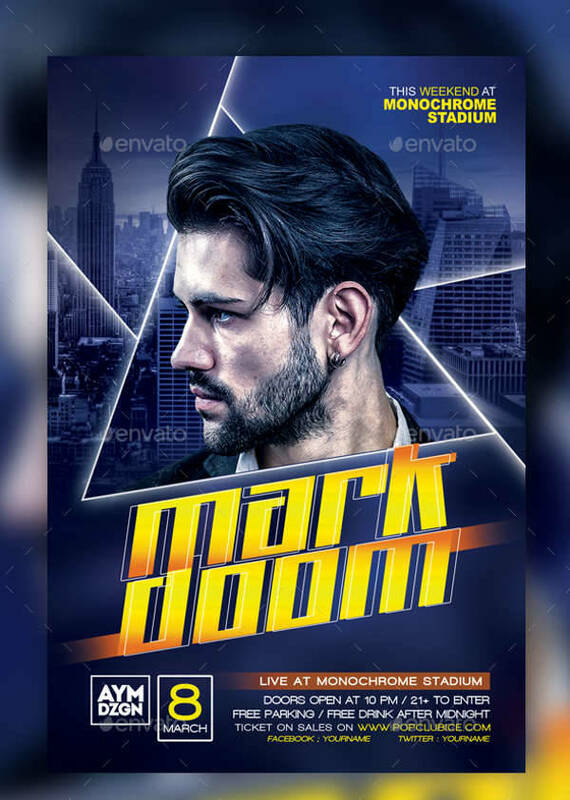 You can also take some inspiration from our Electro House DJ Flyer, Electro House Music DJ Flyer, and Electro Concert DJ Flyer designs with their electronic and urban designs. 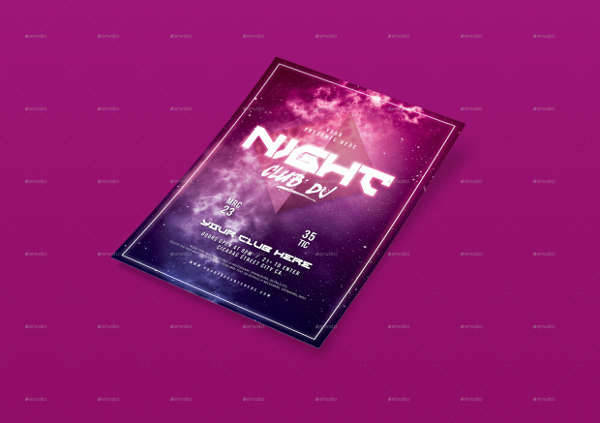 Our Night Club DJ Flyer also a presents a more futuristic and intense design. There is the sense that an event is out of this world, by throwing in a galaxy background image with bright colored accents. 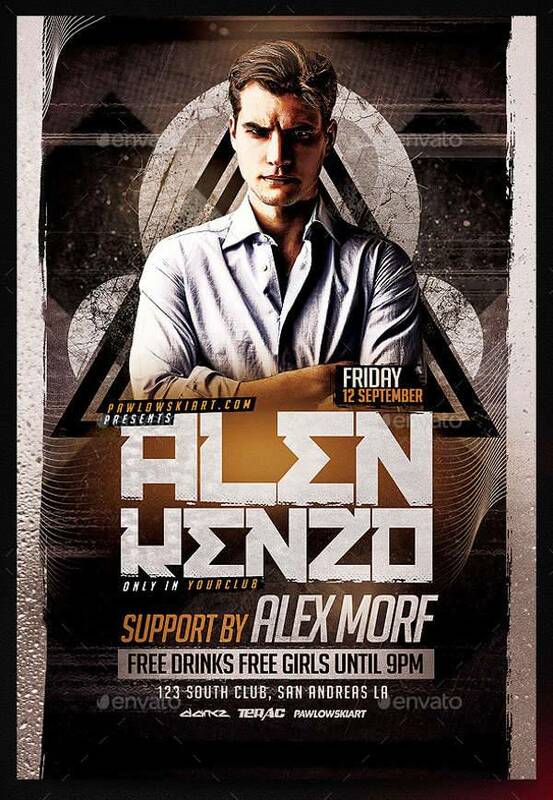 In designing your DJ flyers, don’t limit yourself to what you’re used to seeing from everyone else’s flyer designs. 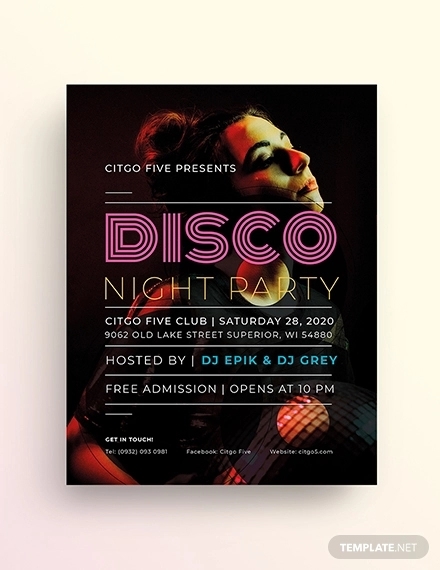 Although it’s important to be aware of current designs, take the extra mile by creating a party flyer design of your own. With our list of designs, download your favorites and come up with something new.